Bromley appeals to people looking for a suburban setting instead of a busy city vibe. There is a great range of properties in Bromley. From small flats to spacious family homes, there is something for most lifestyles. The Glades shopping centre offers all the high street names you would expect. You will find independent cafes, pubs and bars dotted around the town. Also, the transport links are great: travelling directly from Bromley South railway station to London Victoria takes less than 20 minutes. Alternatively, there is a 5-minute journey from Bromley North railway station to Grove Park railway station. Here, you can change for services into Charing Cross, Cannon Street and London Bridge. This residential district has risen in popularity after the boom in development that took place in Stratford around the 2012 Olympics. Forest Gate is near Wanstead Flats, where people flock during summer months to exercise and have picnics. Its high street has a mixture of eateries and shops reflecting the diversity of this area. 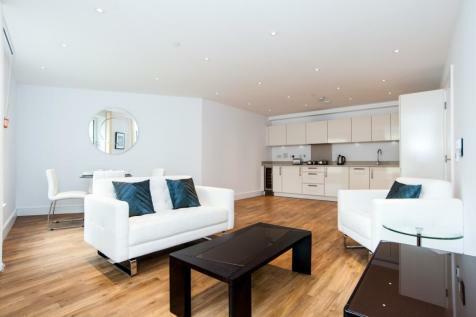 If you are looking for one of a more relaxed, out-of-town London apartments for rent long term, Sutton is the ideal place. Although the town is in transport Zone 5, you will find fast trains to Victoria station in around half an hour. This well-established town centre has a lot to offer renters, including plenty of places to drink and eat, schools, large supermarkets and a shopping centre. Looking back over the last ten years, the attitude to live in areas that are further from central London has changed and renters are seeing areas like Sutton as viable options for places to rent. Although the town is further out on the map and there is no tube station for miles, the average commute time is much less when compared to areas that are closer to central London. It’s an affluent residential district that offers a quiet lifestyle, where children can play safely in the street. It makes home a place that is far removed from the usual hustle and bustle of the centre of London. Little Venice has a wealth of cosmopolitan restaurants and bars where a brisk walk or a canal cruise takes you to Camden Lock. The lifestyle and laid-back attitude make Maida Vale the ideal choice for country folks who want to move to London without having to jump in at the deep end. Acton is the opposite of Maida Vale: it can be described as grittier when compared to its West London counterpart. However, through the diverse crowd living in this area, it offers a certain charm. The area offers a great transportation network, which includes regular bus routes, train stations, tube lines and the Elizabeth Line will soon run through Acton. Are there advantages of using storage units?